Prefabricated home construction is on the rise – even Amazon is entering this fast-growing market sector. But what are the implications for the Australian hardware industry? John Power reports. Prefabrication in the home construction market is not new; various forms of kit homes have been a popular niche market for decades; and for many years prefabricated walling and truss systems, flooring cassettes, as well as readymade window and door assemblies have been making inroads into the building and construction scene with solid customer approval. A new wave of prefabrication, however, is emerging, which presents both opportunities and dangers for traditional hardware-based businesses. As reported widely last month, Amazon has just announced its investment in Plant Prefab, a company specializing in prefabricated housing. The reason for this investment has nothing to do with Amazon wanting to expand its ranges of heavy products. On the contrary, it’s all about getting a foothold in the ‘connected home’ market, which allows homeowners (and their integrated smart appliances) to undertake more sophisticated kinds of online ordering and enjoy Internet-based lifestyle and entertainment options. As both automated and prompted online purchasing habits evolve, Amazon is clearly aiming to be at the frontline of home design and construction to make sure all the necessary platforms are in place for the connected homeowner of the future – from fibre optic cabling within wall cavities, to mini helipads for drone deliveries. In other words, Amazon is breaking down the barriers between ‘computer hardware’ and ‘home hardware,’ and encouraging the customer to see the home as an active extension of the online environment. This trend is not a pie-in-the-sky futurism: the ‘connected home’ market is already a multi-billion-dollar industry, with some 20,000 voice-activated smart home devices currently available to homeowners1. Australia even has its own trade magazine (Connected Home) devoted to this active sector. While smart cabling and similar technologies have been targeted at owners of new conventional homes for years, the idea of focusing on the prefabricated building sector is new – and it makes sense. After all, if a home is to be kitted out with kilometres of hidden cabling, myriad plugs for data hubs, etc, then why not take care of all these messy and complex installations in a single factory while the entire home is being prefabricated? 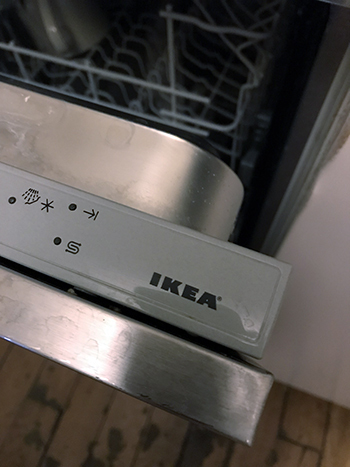 Companies like IKEA now offer fully fitted rooms – including IKEA-branded appliances like the European dishwasher and rangehood pictured above – and as long ago as 2012, entered the market to supply entire prefabricated houses. The consequences for the Australian building industry, however, need careful attention. First of all, prefabricated sections of dwellings need to be transported to a final residential destination, which means heavy materials like bricks and mortar, clay roof tiles, stone, etc, are OUT and lightweight synthetic and composite materials are IN. Certainly, developers’ preferences for alternatives to bricks and mortar are longstanding as a means of sidestepping high labour costs and expediting construction times. Now, with additional pressure from the smart home industry sector, which despises the difficulty of retrofits and adores the simplicity of choreographed pre-assembly, the future for brick construction looks even bleaker. It is worth noting that other countries have already progressed down the home prefabrication pathway: 80 per cent of all new homes in Sweden, and 20 per cent in Japan, are prefabricated2. Not only does prefabrication allow for faster building times (as little as three weeks for a complete three-bedroom home3), but it also reverses traditional fit-out procedures. I.e. instead of plumbers, electricians and detailers becoming involved in projects near the end of construction, such services are supplied at the outset of prefabrication while walling systems, etc, are being made in the factory. Do all internal fittings within the prefabricated home accord with Australian Standards and the Australian Building Code, and are all internal and concealed plumbing and electrical products likely to be compatible with our conventional sizes/gauges? If property repairs or updates are required in years to come, will tradespeople in Australia be able to gain easy access to preformed internal fittings? Will hardware store product ranges be affected? For instance, will demand decline for brick-related drilling and cutting accessories, wall and underfloor insulation, tile and roofing systems, etc? As consumers opt for prefabrication as affordable alternatives to traditional building methods, will builders and allied trades-people lose their primary roles in the construction industry, thereby eroding the important commercial relationships that exist between tradespeople and hardware outlets? If hardware manufacturers want their materials and products to continue to appear in Australian homes, then will it become necessary for manufacturers to form partnerships with prefabricated home companies as original suppliers? This last point is crucial. It is all very well to say that local suppliers of fasteners, for example, might have to seek out new client bases in the prefabrication industry, but what if the prefabricators are overseas? By definition, prefabrication is all about portability and transferability. If the components of a prefabricated home can be made in western Sydney, for instance, and then delivered to a building site in Newcastle, then there is no reason why the same process cannot be replicated between China and Newcastle. Needless to say, all the building products used in the prefabricated home would be sourced from the country of prefabrication, not Australia. Developers love to save money. Let us be crystal clear: just as developers can bypass bricks and mortar construction by choosing prefabricated lightweight building systems, so they can bypass the entire Australian prefabrication industry and choose systems made more affordably overseas. The Australian residential construction sector could very easily be transformed into a network of assemblers of foreign-made building blocks. The pressures in favour of this scenario are heavy: homeowners want prefabrication because it can lead to building cost savings of 10-25 per cent4 compared to traditional homes. 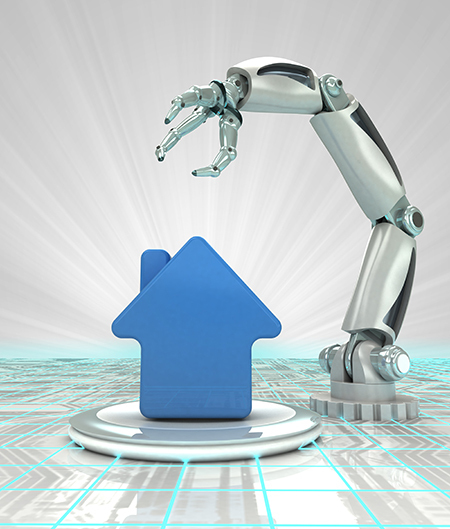 Homeowners also want the ability to ensure they are getting the latest and greatest digital technologies, as delivered so smoothly with defined prefabricated features; technology companies such as Amazon want prefabrication because it facilitates greater levels of ‘connected home’ functionality and consequent online business, and large-scale manufacturers such as IKEA love the idea of expanding their flat pack product lines. Indeed, many years ago IKEA grew from being a supplier of furniture to being a prefabricator of fully fitted rooms like kitchens and bathrooms (including IKEA-branded appliances). And even as long ago as 2012 the company expanded its operations to include entire prefabricated homes! So, where does that leave Australian hardware manufacturers and suppliers? Somewhere between a plastic rock and a flat hard place.